1940's tin litho advertising tray for Hanley's Peerless Ale. 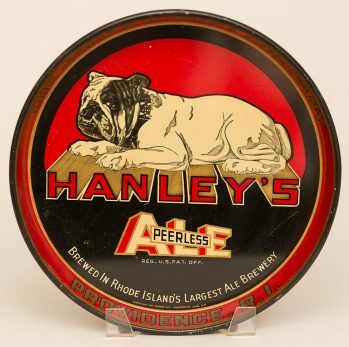 This bulldog tray comes in two versions, an all black background, and the split background offered here, which is a harder to find version. Tray is clean and in good shape.